This App gives a certain perspective of the island of Guam from anoptional tour view. 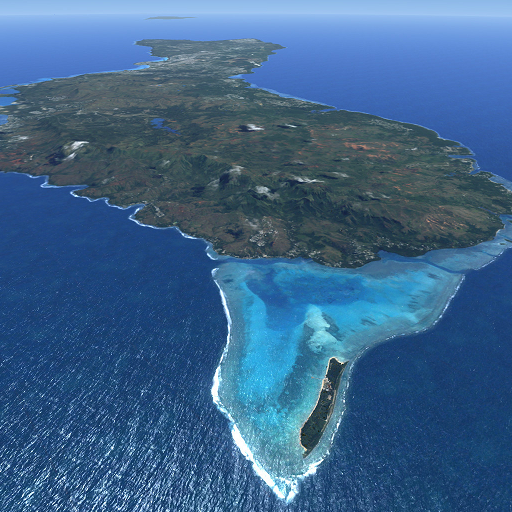 The goal is to get people around the world totake a look at Guam. LifeTiming LOVE relates to nature's TIME & SPACE elements. Thissoftware algorithm is based on ten thousand years of Chinesewisdom. On the day the we were born the angles got together anddecided to create a dream come true. That is YOU!So... it justmakes sense that you personally would have your own seasons.Youhave your own Winter, Spring, Summer, and Autumn seasons based onyour date-of-birth.You can help yourself be more consistent withLife's challenges by doing the right actions at the righttime.Start by using Life-Timing, and Life-Timing LOVE. In reality, there are natural unseen patterns that affect yourlife.So, if you are looking to improve your well-being, thenunderstanding your natural inner self better will surely help bringsuccess in a more consistent way.Whether you believe it or not, orwhether you realize it or not, there is an unseen human energy flowwhich "Life-Timing" can help expose.Especially in the areas of LOVEand BUSINESS relationships, LifeTiming plays a very important rolein achieving long term success.At it's simplest form, this APP willguide you towards better understanding, and acceptance of peoplethat come in-and-out of your life, by at first showing you whenyour personal Winter, Spring, Summer, Autumn searsons start.Afterfinding out your Life-Timing TYPE (ie. LT-TYPE), you can then learnmore about your monthly season cycle (12 months though out theyear), and also learn more about your 12-year cycle that consistsof 3-years of Winter, 3-years of Spring, 3-years of Summer, and3-years of Autumn. *SEE www.life-timing.com website.It is a naturaltendency to hide ones real self from others. The common saying isthat everyone wears a mask. Most people try to show only the goodpart of oneself at the beginning of a relationship, which only letsyou understand that person from the surface. Only a few people havea good enough instinct to see past the mask and into the real selfof a person. Therefore most relationships are handicapped from thestart.Life-Timing.com will help you, even though you are not one ofthose people that have a good instinct about people, thereforegiving you a guide to finding your right match and then allowingyou to start things out on the right footing. Just enter your date-of-birth to find out your Life-Timing TYPE,and discover your personal Winter, Spring, Summer, and Autumnseasons beginning.Life-Timing associates a persons date-of-birth totheir natural TIME and SPACE elements.Based on ten thousand yearsof Chinese collaborative filtering, a person can discover whentheir personal Winter, Spring, Summer, and Autumn seasons begin.Ifa person is seeking to improve oneself's prosperity in a moreconsistent way, then LifeTiming will help you be more synchronizedwith one's life actions.Especially in the areas of LOVErelationships and BUSINESS relationships, Life-Timing plays animportant role in achieving long-term happiness and success. News, sports, video and more from Guam's News Network. The best Guam music stations in one place. - Boos 104.3FM - I94FM -Isla 63AM - KGCA-LP FM 106.9 - KGUM 567 AM - KHMG 88.1 FM - Power98FM - The Kat 105.1FM - The Shark 99.5FM .. And more. You canchoose your favorite Radio stations and access them easily. After 3attempts to connect to radio, you can report it as down and we lookinto it as soon as possible. If there is any station that you wantto add, you can leave the name in the comments or send us an email.If you have problems with the app please email us, we will do ourbest to make your experience improve and more satisfying. Requiresinternet connection. You'll be jammin' the spirit of the island 24/7 with The SharkMarianas app. Playing the best in reggae and island music, thefiesta or the beach party doesn't have to stop, as long as you havethis app on your mobile device. Now, you can take us anywhere! Random generated playlists just for you! Random generated playlistsjust for you! Tapping text will bring up the menu. then, ☆ Text - can changeexisting text ☆ Color - can decorate text with various colors ☆Rotate - can rotate text ☆ Size - can change text size ☆ Skew - canskew text ☆ Copy - can copy selected text ☆ Delete - can deletetext ☆ Background - can change the size, rounded corner and angleof the background color ☆ Arrange - can adjust the position incharacters or arrange text circularly ☆ Space - can adjust thespacing between letters and line space ☆ From Write verticallyfurthermore, ☆ Arrange - can adjust individual positions ofcharacters ☆ Space - can adjust the spacing between letters andline space ☆ Write Horizontally returns text to horizontally ☆ Youcan enlarge and shrink the image by pinching in and out. ☆ Japanesefonts are installed and you can install other fonts. From the appmenu, you can use 「Image Filter」「Rotate image」「Add image」「Newimage(leave text)」「Preview」「Save file」「Open file」「Share」「Settings」.About 「Save file」 and 「Open file」, you can save or open temporaryfile. In 「Settings」, There are (1)Save Format, (2)Saved Image Size,(3)Image Picker, (4)Language, (5)Upgrade options. About (2)ORIGINAL is default.If memory error occurs, automatically reducethe size to 1/2, 1/3. You can check the saved size from thepreview. For (5) you will not see ads when you purchased. ·INTERNET and ACCESS_NETWORK_STATE permissions are used for networkconnection check, font download, advertisement display. ·WRITE_EXTERNAL_STORAGE permission is used for saving images. Not for intentional phone dropping! Your phone will scream when youdrop your phone. An app you never knew you needed. Availablesounds: - OOF sound from Roblox - Roblox Death Scream - Minecraftoof (minecraft death sound) - I've fallen and I can't get up! -iDubbbz - Wilhelm Scream - Windows XP Shut down sound - ScreenCrack - Yeet - Sad Violin - REEEEEEEE - GTA 5 Wasted Sound - NowThats a lot of damage! - I can't believe you've done this - WTFRichard - Peter Griffin hurting his knee More sounds coming in thefuture! Note: - the sensor recognizes the drop best if you don'ttwist / rotate the phone mid-air while falling. Disclaimer: Thissoftware does not encourage any other than normal using of yourdevice. You are not to cause damage to your or other's possessionsby including, but not limited to throwing your phone in the air,intentionally dropping it on any surface that could damage thedevice etc. By installing this application, you agree to use itsafely and responsibly. OpenGate Apps is in no way responsible forany damage you may cause by intentionally throwing your phone. Thisapplication is not meant for this and we do not urge users to droptheir devices on purpose.